First off, I’m already a pretty big fan of Oogie’s Gourmet Popcorn. I REALLY liked the Smoked Gouda popcorn, which if you haven’t checked out already, you can read about it here. As you can see, it had an orangey tint. It’s even brighter than that picture depicts. The flavor was certainly different. At first, a very slight cheesy taste, that kind of reminded me of nacho cheese. 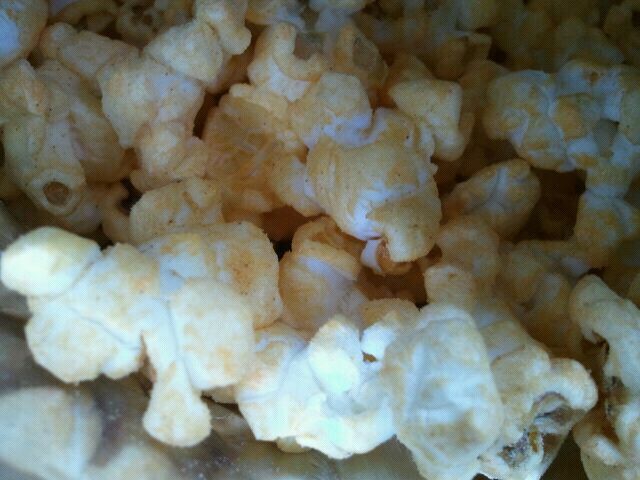 Then it tastes a bit salty, and reminded me of white cheddar popcorn. Then, WHAM! This little bit of heat and spice creeps up and is left with the aftertaste, with a slight burn lingering in my mouth. It was pretty good, and was spicy enough to detect, but not overly spicy that made me go running to the fridge for some milk to calm the spicyness.There was also a bit of oniony flavor in this light and fluffy popcorn, that added a nice touch. 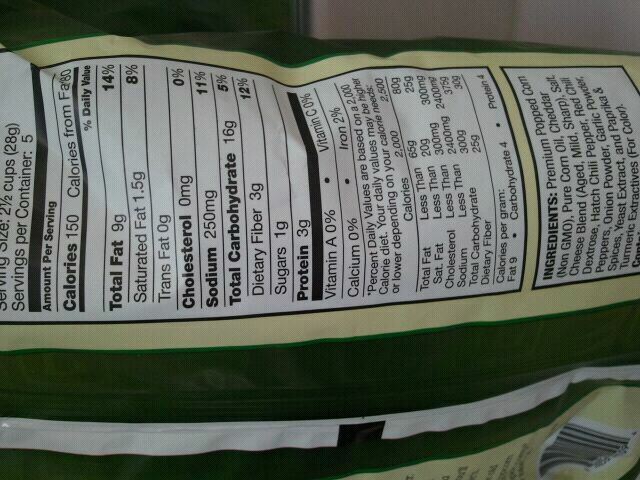 While I liked this gluten free popcorn and think its very tasty, I dont think I could eat more than a serving at a time. 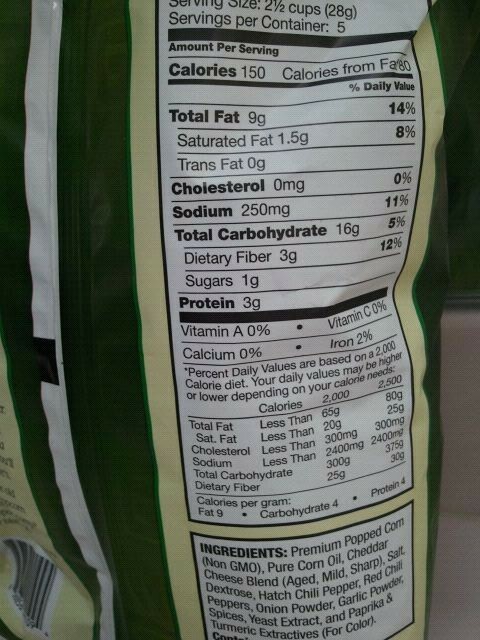 But hey, maybe that’s a good thing..no eating the whole bag in one sitting! Another thing I noticed with this bag and the other Oogie’s popcorn I have had, is that the seasoning is very hit or miss. Some kernels have a lot (which, I LOVE!) and others are bland. But then again, I feel that way with some other brands of chips too. I guess it’s hard to evenly coat everything!! Overall, 3 1/2 stars. 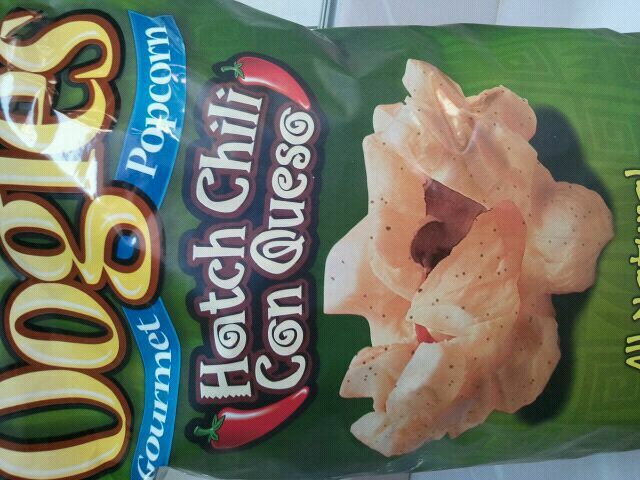 Pretty good, but I kind of wish it was a bit more cheesy tasting, for the “Queso” aspect. I also found myself coughing quite a bit from the spice/heat of the popcorn. But then again…I’m a wimp when it comes to spicy foods =P My favorite is still the Smoked Gouda! I received this to try for free for the company, but my opinion remains unaffected. hahahha same!! Im like, nahh thats ok, Ill pass… luckily these aren;t TOO spicy! and Im the same with sour foods- yuck! I used to run those War Head candies under water and then eat them when I was little to rinse the “sour” off- hah! 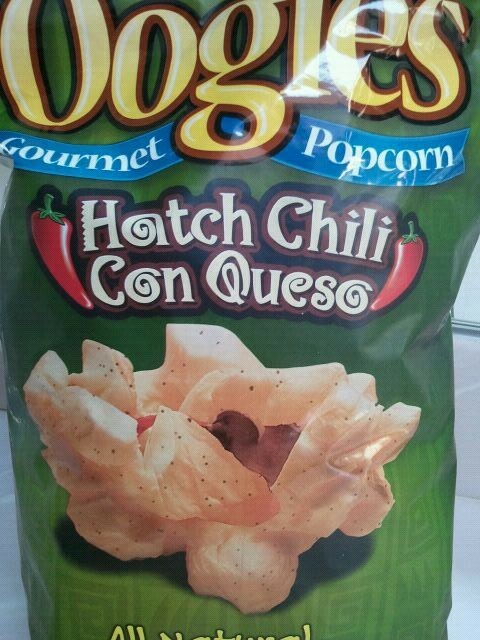 I read chili con queso and got excited, but then read it was a flavor for popcorn and though…Meh. I’m with you–more mild than spicy is my scene.